Letterhead printing is the cornerstone of any business and conveys a sense of professionalism that lets your audience know you are serious about your business and your business image. We offer many print options to ensure your letterhead looks professional, up to date and quality crafted. Want more information on letterhead printing? Upload files for letterhead printing. A member of our sales team will be in contact with you regarding your files. 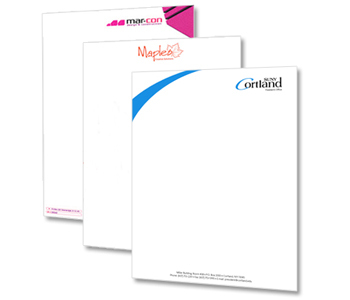 Request a quote for letterhead printing. A member of our sales team will be in contact with you regarding your request. Contact us for more information about our letterhead printing services.